When Serum first came out, we knew it was going to be a game-changer. The hyper-advanced wavetable engine, modulation options, and built-in effects make it the defacto top-dog when it comes to sound design. When we started putting tutorials for Serum up on our YouTube channels, we saw a crazy response. Our videos quickly racked up views and became some of the most watched and shared videos online. Our Serum videos have reached over 286,614 music producers to date, generating 2,816 likes. Just enter you email address below and you’ll unlock a private link to the Serum videos! Enter your email address to get instant access to our most popular Serum Synth tutorials! SOUND DESIGN SECRETS IN SERUM: Unleash Serum’s Power Features! So much potential lurks under the hood of this incredible synth. Come discover some of our favorite features and how to get the most out of them. 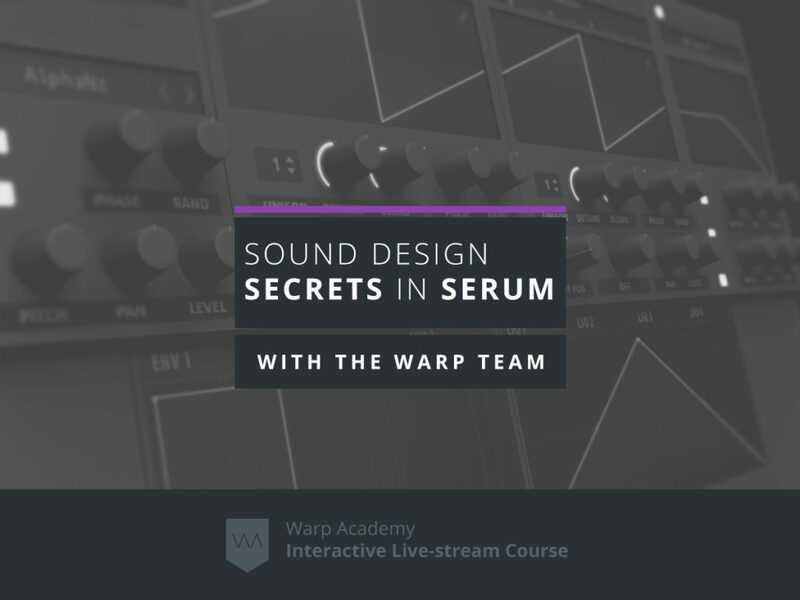 Sound Design Secrets in Serum will be co-presented by two of the sound designers behind our epic, upcoming Darkside Funk soundbank: Dan Dusko and Vespers. Between them they’ve got 3 decades of production experience and have created some of the world’s most cutting-edge Serum sounds.